Where is the Tomb of Mehu? The tomb of Mehu is in the necropolis of Saqqara, just a stone's throw away from the world's oldest pyramid, the Step Pyramid or Pyramid of Djoser. Easily reached in a day trip from Cairo, Saqqara is 33 kms (20.5 miles) from the city and 25 kms (15.5 miles) from the Pyramids of Giza. The trip takes about an hour and a half by car from Cairo and 45 minutes from Giza depending on Cairo traffic, which is awful. We found the traffic was lighter in the mornings, particularly on Fridays (the Egyptian equivalent of our Sundays). We reached Saqqara in just over an hour from our hotel in central Cairo but it took us more than two hours to return. 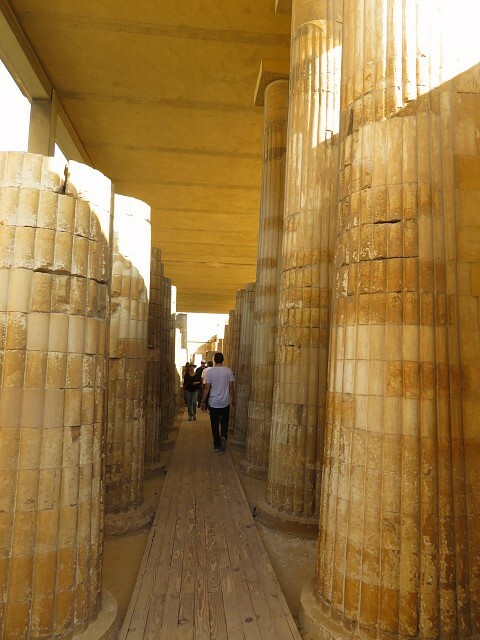 Unless you plan on taking a tour, the best way to visit Saqqara is by car. I didn't see any taxis waiting around near the entrance to pick up return fares. 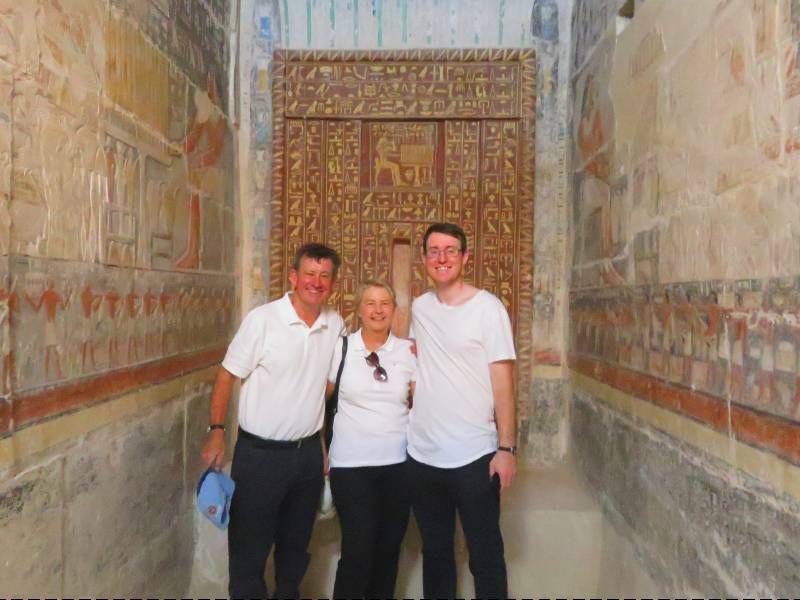 Also it is a long hot walk between the various groups of tombs so you want transport once you arrive - assuming you want to see other tombs while you are there, . We arranged a car through our hotel concierge however you could probably negotiate with a taxi (or perhaps Uber) driver to take you out there. For six hours which included a side trip on the return journey to see the fallen statue of Ramses the Great at Memphis, the car and driver cost us 1300 Egyptian Pounds (103AUD/73USD). I freely admit we are the world's worst hagglers so you could probably get it cheaper than us. To get an idea of just how bad our haggling skills are read - How NOT to buy a souvenir: 8 tips on avoiding that piece of useless junk. Mehu was an ancient Egyptian vizier (a high-ranking official) and chief justice during the period of King Pepi I in Egypt's sixth dynasty. He lived around 2300 BC. The Tomb of Mehu was also the burial site of Mehu's son and grandson. Did you know that it wasn't just the pharaohs who built stunning tombs? Ancient Egyptians believed they would need their body in the afterlife so anyone wealthy enough to do so arranged for their body to be mummified after death and built a tomb to protect it. Why you should visit the Tomb of Mehu? Because it has never before been opened to the public the Tomb of Mehu has not suffered the degradation of many other tombs. 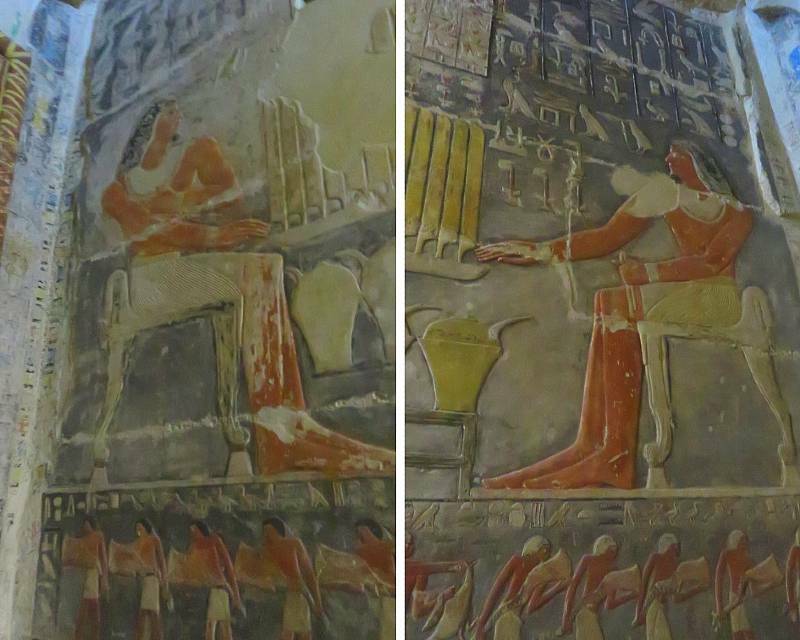 The reliefs (wall sculptures) and hieroglyphics are largely intact and the colours much more vivid than other tomb's you might visit. The tomb consists of four decorated chambers, one of which is a courtyard open to the sky. The walls of the tomb are decorated with scenes of daily life. If you are are staying in Cairo and have a day to spare it is well worth a visit, especially as you can so easily combine it with seeing the Step Pyramid. The colours are stunning but don't expect them to look new - remember it might have only just been opened to the public but the Tomb of Mehu is still 4,000 years old. We found it! Strictly speaking I don't think you are supposed to take photos but the guard insisted on taking this - then wanted baksheesh (a tip) of course. If you do take photos, turn off your flash and any other lights on your camera. How to Find the Tomb of Mehu. Without any signs pointing to its location, finding and gaining entry to the Tomb of Mehu requires a little forward planning (ie: read this), a little luck (you have to find a guard) and a bit of persistence. Don't be put off - just follow these steps and you will be admiring the ancient artwork in no time. 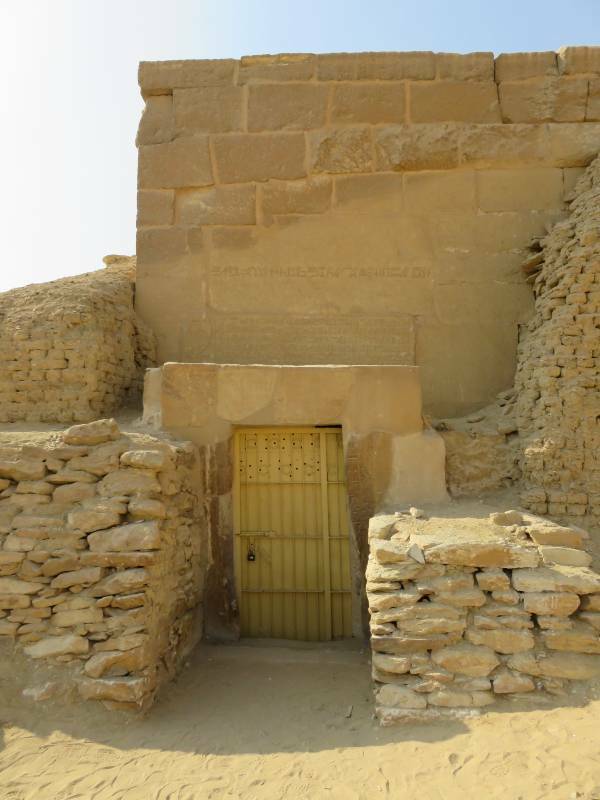 The tomb is at the Saqqara Necropolis (or Archaeological Site) in the same location as the Step Pyramid (also called the Pyramid of Djoser). Once you arrive buy a general entrance ticket which gives entry to the Step Pyramid and a few other tombs and a separate New Tombs ticket. The signboard showing ticket prices does not mention Mehu. 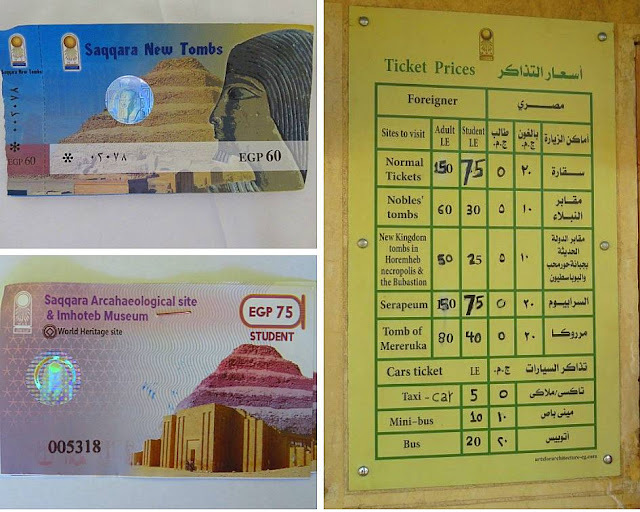 You must ask for it by name or for a ticket to the 'Saqqara New Tombs'. The New Tombs ticket gives you entrance to the Tomb of Mehu, the Tomb of Ty and one other tomb. If you want to visit all three write down the names when you purchase the ticket because they are not written on the ticket. 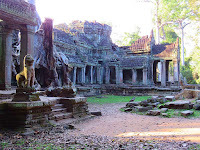 We tried to remember them - unsuccessfully - and we only ended up finding two of the tombs - Mehu and Ty. The two tickets required to see the Tomb of Mehu and the board with ticket prices. Notice there is no reference to the Tomb of Mehu anywhere. Our general entry tickets were 'student' tickets because the ticket officer had run out of ordinary tickets so he gave us each two student tickets to make up the price of 150 EGP. Notice the weird spelling of 'Archaeological' with an extra 'a' - a printing error, perhaps - or is this a legitimate alternative spelling? To find the Tomb of Mehu walk through the colonnades at the entrance to the Saqqara Necropolis. After the colonnades go straight ahead with the Step Pyramid on your right, climb the steps at the end on the left and head away from the Step Pyramid. You will see a few tomb guards around, dressed in traditional gallibayas. Gallibayas look like ankle-length shirts. Show one of the guards your ticket and ask for the Tomb of Mehu. If luck is on your side he will take you to the tomb. It isn't far but it is tucked away almost directly behind where you originally entered through the colonnades. There is however no direct path. The Tomb of Mehu. Don't be put off by the locked door, that's why you found the guard. The guard will unlock the tomb and show you inside. Be prepared to furnish him with baksheesh (a tip) for this. We paid the guard 50 Egyptian pounds (4 AUD/2.80 USD) which we thought was generous, after all the New Tombs ticket only cost us 60 Egyptian pounds, but the guard, as usual, thought it was miserly. Apart from Mehu there are other tombs at the Saqqara Necropolis many of which you can access with your general entrance ticket. Don't miss Mehu though, it is by far the best. The tombs are grouped in separate areas, each with their own car park. Ty, for example, is a long hot walk from the tombs near the Step Pyramid. This is where your car and driver will come in handy. Don't forget to admire the Step Pyramid while you are there. 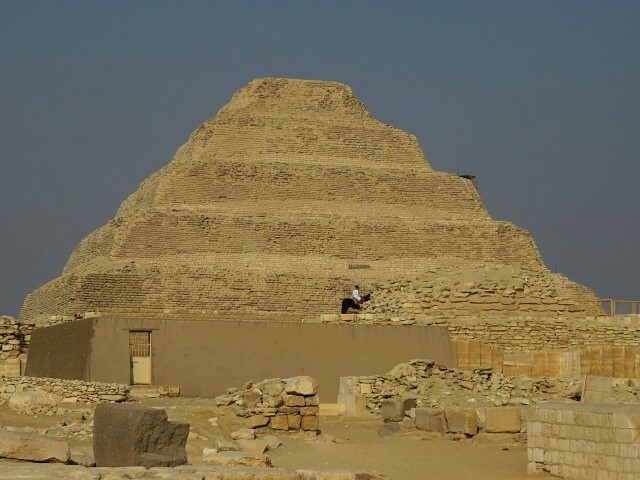 It is the world's oldest pyramid and worth the trip to Saqqara on its own. 11 things to do in Alexandria - one is a bit weird! Thank you for taking the time to read our blog. If you would like to follow our travels, enter your email address in the 'Never miss a post: Follow by email' box in the right hand sidebar just below our profile picture. I promise there is an unsubscribe button if you get sick of us. I hope one day to get to Egypt. It still seems so mysterious to me, possibly because I know so little about the country. 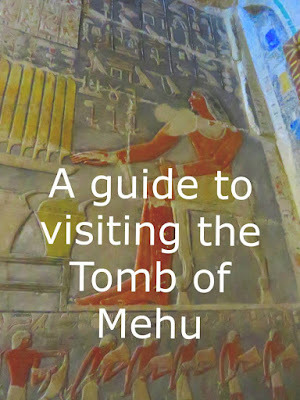 Visiting the Tomb of Mehu sounds like quite the adventure! It was an adventure. Half the fun was finding it! Hubby hates tours so we do as much as we can independently when we travel. It means we sometimes miss out on things but we have loads of fun and get a great sense of achievement when everything works out. It was difficult. the only tricky bit was finding it. Excellent info. I was in Egypt before this discovery but would love to return and see this tomb. The tips you share here are super helpful . Thank you. There are so many interesting places in Egypt. I hope you get to see the Tomb of Mehu one day. Amazing! We are getting into the ruins thing here in Oman; every other town seems to have 'em LOL, though not nearly as well preserved. Wow! - Oman sounds adventurous. I love anywhere with ruins. Sometimes they have more atmosphere if they are less well preserved. Will definitely do this when we get back to Cairo! Thanks for the great information in this - it is a keeper for sure! It is well worth seeing. I loved it. I've never really wanted to go to Egypt because I would be put off by the crowds. But it could be worth it to visit a place like the Tomb of Mehu which hasn't really been discovered yet. The thing we noticed most was the lack of crowds. Tourism just hasn't recovered after the Arab Spring. I have been telling everyone to go now before Egypt is rediscovered but the recent bombing of a tourist bus headed to the Sound and Light Show at the Pyramids suggests it isn't yet quite as safe as you might want. Well thank goodness for your article or how in the world would anyone ever find the tomb? Especially the part about tipping the guide to unlock the door! I also think having photos of the tickets will be a great help to those trying to navigate this maze of challenges. Tipping the guards to show you tombs is very common in Egypt. About the only place we didn't have to do it was the Valley of the Kings at Luxor. Even when a tomb is open and you don't need the guard to gain access they will follow you in start pointing things out and then insist on a tip. This sounds like such an Indiana Jones trip! Find the guard to unlock the tomb that no one knows how to find! I’m definitely adding this to my Egypt bucket list! You are right there was an Indian Jones feel to it. It was so much more fun and rewarding than just following a tour guide. Egypt is a destination that has been on my list for a long time. 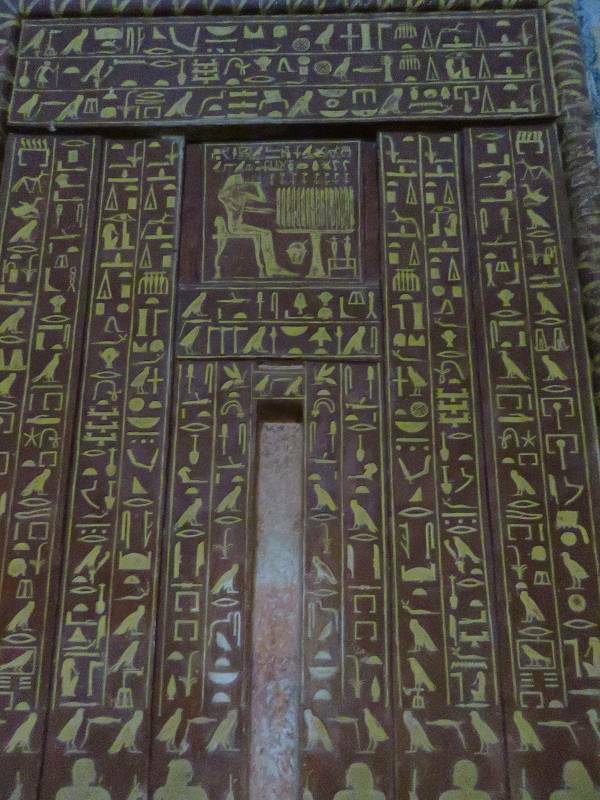 I loved studying ancient Egypt as a kid and would love to see this tomb. To think that it is 4,000 years old is mind blowing! I would be in awe of its design and architecture. Egypt is fantastic - lots of hassle - but worth every bit of effort you have to put into it. I hope you get there one day. I still haven't made it to Egypt but I am fascinated by its history and culture. Thanks for this look at Mehu. It is hard not to be fascinated by Egypt, it is such an interesting place. I'm so disappointed I missed this. When I was there in 2011 that whole section was ensconced in scaffolding. There was a bit of scaffolding on one side of the Step Pyramid but not so much that it spoiled the experience. Good info. I'll see if I can get there. You said it was the best - better than Mereruka? Mereruka was one of my favorites in all of Egypt! I think a big part of what I loved about Mehu was the fact that so few other people have seen it. 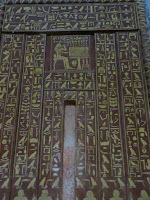 There are other tombs, at the Valley of the Kings for example, which have better decorations.